3. Gran maestro contra niño prodigio: con la ayuda de Simon Williams encuentre las jugadas con las que el chaval de 11 años Vincent Keymer superó al GM Hertneck. "Jugada a jugada"
4. Clase magistral en Biel con MVL: el actual número 2 del mundo explica en una entrevista en vídeo con Daniel King su victoria sobre Caruana en una Najdorf. 5. Camino tortuoso en la India de Rey: en un vídeo, Erwin l’Ami presenta la variante tras 8.dxe5 dxe5 9.Ag5 y la actualiza con la teoría más reciente. 7. Ataque de mate caído del cielo: Boris Gelfand le mostrará como sorprendió al campeón de Europa Ernesto Inarkiev. 8. “Tendencias en la apertura”: el MI Langrock inaugura serie y muestra las tendencias más importantes en la variante Rubisntein de la Francesa. 9. ¡Ponga los símbolos de exclamación! Dirija, junto a Oliver Reeh, un ataque con varios mazazos. 10. Ensayo para el Campeonato del Mundo: Daniel King le muestra como el campeón mundial desmanteló la posición del rey de Sergey Karjakin. 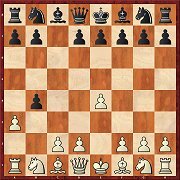 With 2.g3 White would like to defer the development of the Nb1 to c3 so as to avoid ...Bb4. But then, according to Michal Krasenkow, Black can easily play 2...c6. The Polish grandmaster takes some ideas from the Alapin Variation in the Sicilian and presents a repertoire for Black. 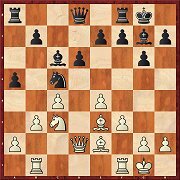 With 3...c5 (instead of the main move 3...h6) Georgios Souleidis presents a solid weapon against the Trompowsky Attack. White can try either 4.e5 or 4.d5, but the analyses show that Black has no need to fear the one or the other. 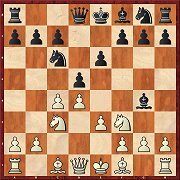 In the second part of his article on the Wing Gambit the focus is on what according to Markus Reinke is the critical move: 3...e5. However, even in this line White can also obtain exciting positions with compensation for the pawn. In the Rossolimo Variation the trend has of late been retuning to the recapture with the b-pawn. 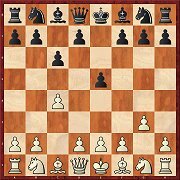 Since after that 8.d4 has not proved itself, White is now trying out the useful 8.h3. Evgeny Postny presents the latest results of his investigations. 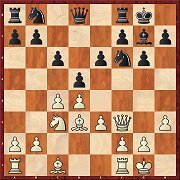 According to Valentin Iotov the move 6.Nc3 has both advantages and disadvantages. Avoiding the exchange of pieces favours White, but he also clears the centre and allows ...Be6. But another thing in favour of the variation is that there is less theory to be learned. With 15...e6 instead of the old main move 15...Qb6 Robert Ris pleads for a somewhat more active approach. If White does not know what he is doing, there are several ways he can immediately fall into a trap. Even with best play it is not clear whether White gets an advantage. 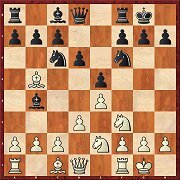 In the second part of his article on the popular sub-variation 6...Nbd7 Igor Stohl analyses above all queen moves for White. The most venomous is 7.Qe2 and so it receives the most attention. 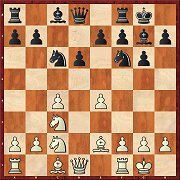 Despite a great analytical effort, Stohl considers Black to be under pressure. Nowadays one is satisfied with even a slight opening advantage, so the Four Knights Game is back in fashion. 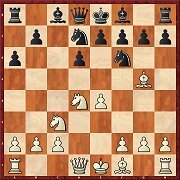 With 7.Ne2, according to Alexey Kuzmin White is intending Ng3, c3 and d4. Black should not miss the correct moment to play d6-d5. 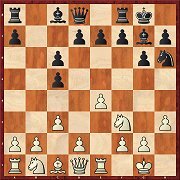 In the closing fourth part of his series on the Chigorin Defence Valeri Bronznik examines the move 5.e3, which is not totally harmless. 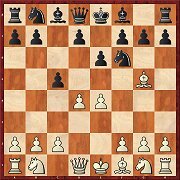 Black should then reply 5...Nf6 and retain the option of ...Bb4. For Mihail Marin Vassily Smyslov is the greatest role model in this variation. The seventh world champion is represented in the database by 7 games. Anyone wishing to play this line should thoroughly check out whether it suits him or not. La Olimpiada de Bakú y el Memorial Tal de Moscú con análisis de ajedrecistas de primera fila. Gran cantidad de material de entrenamiento, incluidas 12 nuevas sugerencias para su repertorio de aperturas. Norway Chess, torneo de Moscú del Grand Prix de la FIDE y mundial de selecciones con análisis de los jugadores punteros. Mucho material de entrenamiento sobre finales, táctica, estrategia y 11 informes de repertorio de aperturas. Disfrute los mejores momentos de los torneos recientes (Shamkir, Baden-Baden, campeonatos de EE.UU.) con análisis de jugadores punteros. Gran cantidad de material de entrenamiento, como 12 nuevas sugerencias de repertorio de aperturas.